Let me guess: You get the part where optimizing your website for the search engines — and not just your readers — is important, don’t you? After all, when your site is ranking, you’ll most likely be flooded with web traffic, which then puts you in a very good place to increase your online sales. For most business owners, however, doing SEO initially comes off as a task that only veteran marketers and fully-equipped teams can pull off. The reality is, SEO isn’t meant to be easy, especially since it can single-handedly skyrocket your business to greater heights. If you’re starting to feel overwhelmed with the thought of optimizing your website for the search engines, don’t be. Before anything else, you need to understand the inner-workings of a search engine and how it “indexes” website content. Put simply, search engines roll out “crawlers” that travel through hyperlinks to assess the quality and relevance of every piece of content they encounter. Unfortunately, they aren’t able to tell if the page in question is currently undergoing construction or renovation. That’s why, as a WordPress user, you need to know how to manually prevent them from crawling your site’s rank worthiness as you work on the necessary on-page optimizations. By discouraging your search engine visibility, you signal crawlers that your website is not yet ready for evaluation. 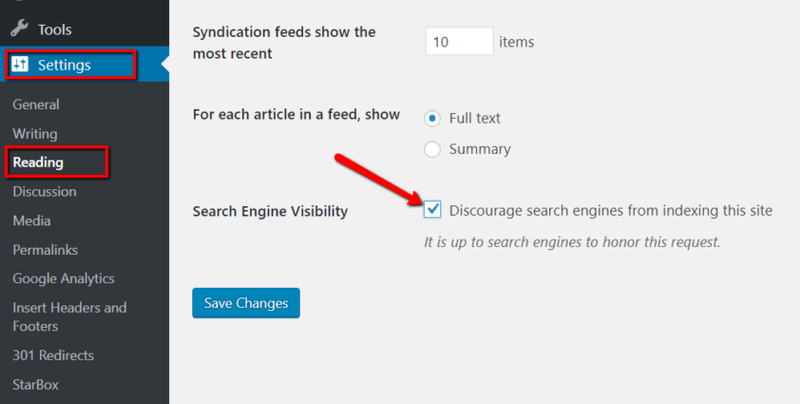 Just remember to switch this option off once you’re confident in the SEO friendliness of your site. Every article on how to do SEO for WordPress blogs mention a thing or two about keyword research, and rightfully so. Regardless if you plan to publish a PR article, launch an ad campaign, or prepare for a full-on SEO campaign. You must target the right keywords if you want your content to reach the right people. A rule of thumb is to avoid high competition keywords if you want faster results — unless you’re already a dominant force in the market with deep pockets for SEO. These are keywords with a competitiveness rating of around 0.4 or less. It’s also important to select keywords with commercial or question-based terms, such as “cost,” “how to,” or “for hire.” These are keywords that are more likely to be used by search engine users who could potentially warm leads. Researching keywords is a great way to obtain useful topic ideas that will pique your target audience’s interest. More importantly, using them will help search engine crawlers and readers determine the relevance of your content. A good idea is to insert your target keyword once in your page title and in the first sentence of your meta description. It may not directly impact your search engine rankings, but it can improve click-throughs to your content and give you more opportunities to generate leads. A lineup of profitable keywords? Check. The next thing you need on your WordPress blog is visual content, which will help maximize reader engagement and, in turn, improve your rank worthiness. Why are these attributes important? Because they help search engines interpret what your images are about. You should also use a lossless compression plugin like WP Smush to lessen the bandwidth requirement of your visual assets. This ensures a smoother and faster browsing experience for your users — making them more likely to stick around and convert into qualified leads. Finally, building internal links is pivotal to the rankings of your entire website — not just a single post. It works by assisting search engine crawlers to discover and index more of your WordPress blog. Potential leads will also highly appreciate it if you can provide them with more content that aligns with their needs. Fortunately, you don’t need a special tool to start building internal links. All you need to do is highlight your desired anchor text, click the “Insert/edit link” button, go to “Link options,” and use the built-in search bar to find existing content you can link to. Just make sure you link to content that’s relevant to the current post. Also, avoid inserting too many internal links to avoid disrupting the experience of your readers. There you have it — the foundational SEO strategies that will help you bring more traffic and leads to your website. With the strategies above, you should definitely be able to start seeing traffic trickling into your website. They may not propel you to a top-rank blog status, but they definitely lay the groundwork for more intensive SEO campaigns in the long run. If you enjoyed my content, then help me improve it! Share your thoughts, concerns, and suggestions for this particular posts in the comments below!